Wildwood by the Sea lies on the southern Jersey Shores, just miles from the historic town of Cape May. 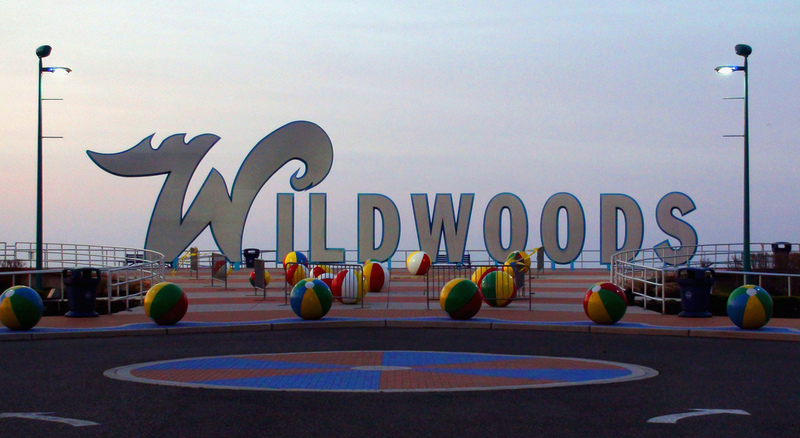 One of the top family vacation destinations in America, the Wildwoods appeal to both beach lovers and adrenaline seekers drawing over 9 million visitors every year. The choice is yours, fill your days with endless activities and excitement or settle for the simple pleasures of life sand, sea and sun. The award-winning beaches of Wildwood are the widest on the Jersey Shore. Voted One of the Top 10 Best Beaches for Families in the U.S., five expansive miles of sparkling clean beaches and powdery white-sand sand stretch across the shores of North Wildwood, Wildwood and Wildwood Crest. Wildwoods beaches are big, beautiful and best of all free! Its endless summer loving as you soak up the sun, take a dip in the calm waters, build sandcastles and fly kites. If restoring your soul quietly under the suns rays is not your thing, youll find every kind of water sports in Wildwood - jet skiing, parasailing, wave running, surfing and some of the worlds best sport fishing. There's even a dog beach for your furry friends and its been voted One of the Top 10 Best Dog Friendly Beaches in the U.S.
Overlooking it all is the world-famous and most legendary Wildwoods Boardwalk, a unique journey of sensory overload, sights, sounds and smells. Thirty-eight blocks of sheer excitement! Over 100 rides and attractions on the three amusement piers, tropical pools, lazy rivers, waterfalls and thrilling slides at three beachfront waterparks, old fashioned arcades and of course the majestic Ferris Wheel. Perhaps the most famous and iconic boardwalk attraction is the Wildwoods Boardwalk Sightseer Tram Cars, known for the phrase Watch the Tram Car, Please!. All this and so much more! The Boardwalk is lined with fantastic shops, ice-cream parlors, diverse restaurants, Irish pubs, nightclubs and non-stop live entertainment. The beach, boardwalk and jam packed Calendar of Events is enough to keep the family entertained for weeks but we encourage you to explore a little. Take a step back in time to the glory days of the Jersey shore as you explore Cape May, The Jewel of the Jersey Shore, best known for its charming and impeccably restored Victorian homes, classic vintage stores, historic lighthouse and brilliant bird life. Visit Cold Spring Village for a glimpse into 19th century living, take a safari through the African savanna at the Cape May Zoo, picnic in the award-winning oceanfront English gardens at the Hereford Inlet Lighthouse or browse the large collection of vintage World War II restored aircraft at the Wildwood Aviation Museum. A must-do, of course, is to catch a picture-perfect and magnificent sunset at Sunset Lake! 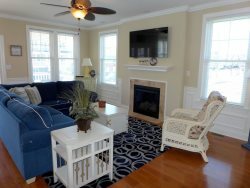 KW Jersey Shore Rentals is your number one source for quality Wildwoods Vacation Rentals. Our homes are near the most popular Jersey Shore attractions of Ocean City, Sea Isle City and the Wildwoods. Our wide selection of premium vacation rentals ensures we have the perfect home for you, our friendly and knowledgeable staff are here to assist and our state-of-the-art website and online booking promises a seamless and hassle-free reservation process. We look forward to sharing your Jersey Shore vacation with you in Wildwood, New Jersey.